One of our most popular stories for 2013 was our list of corkage fees for Santa Clarita Valley restaurants. I didn’t want to do the article as it takes a lot of work contacting restaurateurs and confirming prices, but I must meet your demands! Anyway, I find it interesting as most restaurants don’t list corkage fees on their websites, or even on their online menus. I personally think this is because they prefer you to drink their wine, beer, cocktails, whatever. They make more money that way, so, in my opinion don’t bring in wine if they have a substantial wine list of their own. Two other observations: Some little dining spots, say a sandwich shop, may not know what a corkage fee is. One owner said he had no fee, on the bottles he served. So I explained what it is: The restaurant may open (or allow you to open) your wine and provide glassware (or let you bring it in). If they are providing this service a nominal fee can be charged. The lesson for you, dear reader, is to ask. If you drink a nice bottle of red with your Mexican food at home, ask at your favorite restaurant about bringing your bottle there. You might be surprised to learn that most restaurants, that are interested in pleasing their regular customers and staying in business, will accommodate you. Please remember that BYOB is a privilege, not a right. 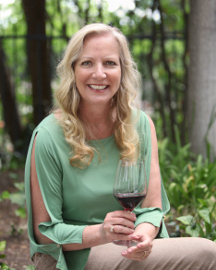 Restaurants often base their overall pricing formulas to include expected profits from alcohol sales, so allowing outside wine can really hurt their margins and should be greatly appreciated. Offering a taste of your wine to the owner, manager or your server is a nice courtesy. 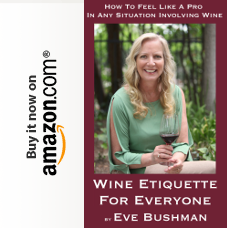 And speaking of your server, you should tip as if you had purchased your wine at the restaurant — the server shouldn’t be punished because you brought your own bottle. And please note that all these corkage prices are subject to change, so it is a good idea to check with the restaurant in advance. Bier Academy: Corkage fees for wine brought in varies from $10 to $20 depending on the size of the group and if they are purchasing other products. Bj’s Brewhouse: Wine corkage fee is first bottle per table free, $7 / bottle thereafter. Lazy Dog Café: No corkage fee on wine brought in as long as its not currently listed on their menu, and any leftover can be taken home. Newhall Refinery and Egg Plantation: $12 at both restaurants. Oaks Grille Valencia (Inside TPC): Non-member price is $20 per bottle (plus tax) and members are $12 per bottle. The charge is $12 per bottle for special events as well. Persia Restaurant (Saugus) and Persia Lounge (Newhall): $15 at both restaurants. Piccola Trattoria: $15, additionally, if the party purchases another bottle of wine from our wine list on their visit, we waive the corkage fee! Rattlers Bar B Que: $5. Route 66 Classic Grill: $10. 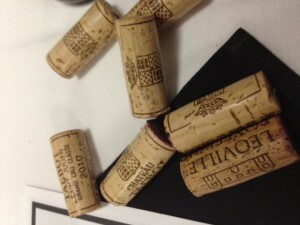 Wine 661: No corkage on in-store purchases; $20 corkage fee for outside bottles.